Anton Bruckner, a giant of the 19th-century symphony, was born on September 4, 1824, in the rural Austrian town of Ansfelden. 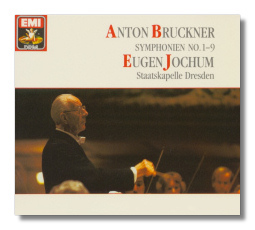 Bruckner was from a musical and deeply pious family of Roman Catholics; his father was a schoolmaster-organist who gave Anton beginning keyboard and violin lessons, while his mother was a vocalist in the local church choir. Bruckner showed a musical gift from childhood, becoming proficient enough by the age of ten to serve as assistant organist during mass. Anton, perhaps being the favorite of five children, was sent to St. Florian Monastery after his father's 1837 death, began work as a choir boy, and received a thorough education. Bruckner's voice broke in 1839 and he decided to likewise pursue a schoolmaster-organist career. He took up required courses at Linz, which included music theory; under well-known theorist August Dürrnberger, he was first exposed in detail to secular works, such as by Beethoven and Mozart. The teaching salaries earned by Bruckner were poor and the work itself a distraction from compositional goals. But through his skills as a keyboard player, Bruckner found his way to the assistant organist position at St. Florian, where he stayed for ten years, and organist at Linz Cathedral for thirteen more. The Linz period was vital to his creative life, as he received lessons by mail from Simon Sechter, a Viennese who briefly taught Schubert. Grueling exams and certifications from the Vienna Conservatory would follow, although Bruckner's musical proficiencies were never in doubt. 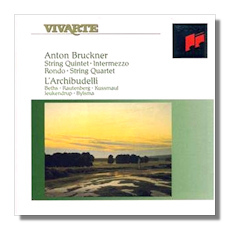 Through the encouragement of friends, Bruckner found work in Vienna as theory teacher at the College of St. Anna and as an instrumentalist. He was also invited to play organ at churches throughout Europe and received wide acclaim. Convinced of his musical future, Bruckner remained in Vienna until his death. His once-peaceful life would become drenched in controversy along the way. 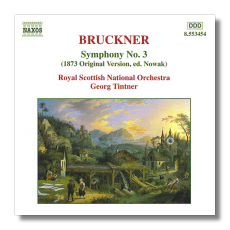 Bruckner had written numerous vocal and orchestral pieces for church performance, but his first serious attempts at concert music did not occur until the 1860s, when he began projects under the tutelage of Otto Kitzler. During his time with this modernist, Bruckner fell under the potent charm of Wagner, whose ultra-chromatic style brought change to the Austrian's own. Bruckner's church music sat well with audiences, but his symphonies, for which he is best known today, were radical in scope and hostilely received. He became a personal friend of Richard Wagner, a friendship causing even greater discord with followers of Johannes Brahms and conservative tradition. 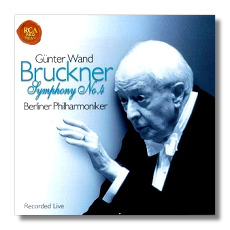 Bruckner took on the mark of an overblown Wagnerian; after modest success with his Symphony Number 2 (1871-2), Symphony Number 3 (1873-7) had a disastrous premiére, although a supportive audience member was 17-year-old Gustav Mahler. His later symphonies, particularly Numbers 5 (1875-6) and 7 (1881-3), had their share of applause, but also widespread hisses and harsh reviews in the press. Local orchestras, including the Vienna Philharmonic, were reluctant to perform Bruckner's compositions, usually deemed formless, too long, and unmarketable. Even today, this deeply meditative music poses a challenge to listeners. The nine symphonies, most spanning an hour in length, gradually unfold over broad landscapes. 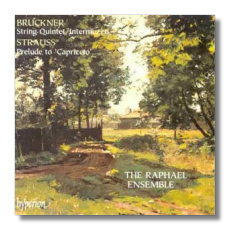 Bruckner's symphonies begin quietly and take the shape of theme and variation; an opening theme is smoothly spun, which initiates a synthesis to take place over the entire work. 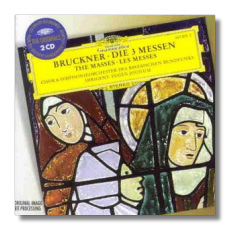 The music is a reflection of Bruckner's Catholic faith, often taking on a medieval quality and reminiscent of church modes. Moments of high drama, quiet ponderousness, and absolute silence lie side by side, forming a coherent whole beyond the limits of earthly reality. 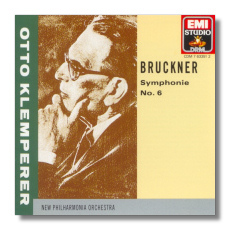 A Bruckner symphony does not refer to concrete images, nor does it undergo a familiar style of "development"; it simply exists as a vast, autonomous body of sound. Bruckner's works were outlandish to the Viennese public, but helped propel European music into the era of Mahler, Strauss, and Debussy by further broadening the limits of symphonic time and space. Bruckner did enjoy increasing fame in his late years, as society became accustomed to the workings of Wagnerism; by the time of his final illness, he was a former professor of the Vienna Conservatory and the recipient of a government pension for his goodwill to the Austrian Empire. 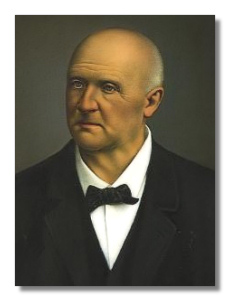 Bruckner's works have found performances worldwide, due to a steady growth in popularity since his death in 1896. 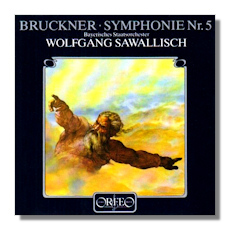 A lack of interference by the Nazi government, who otherwise stunted the progress of Mahler, Kurt Weill, Boris Blacher, and others, was particularly helpful, as was the dedication of conductors such as Wilhelm Furtwängler, Daniel Barenboim, and Herbert von Karajan to performing Bruckner whenever the chance has presented itself. Still to be resolved, however, are questions about the scores themselves; they were sometimes revised through Bruckner's own decision, but also through the persuasion of friends who thought his music could be made "listener-friendly." One should note the different versions of some symphonies, with unwanted cuts and alterations still being weeded out by musicologists.